Happy Monday everyone! Hope you had a wonderful weekend. 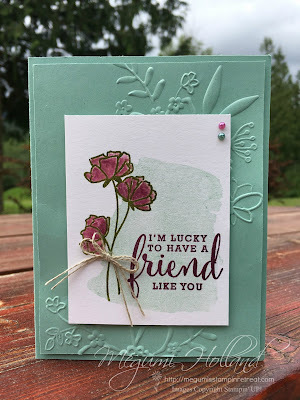 Here is one of the projects we will be making at my Big Shot Class this month featuring the Share What You Love Exclusive Bundles. There are three limited-time bundles available. Watch this video to find out more. RSVP - Please click HERE to register online. You will receive a confirmation via email once your registration is complete. Please note space is limited. Thank you for stopping by today. Please feel free to contact me with any questions. Today's share includes three cards made using the Magical Day Stamp Set from the Myths & Magic Suite in the Occasions Catalog. What an awesome stamp set! 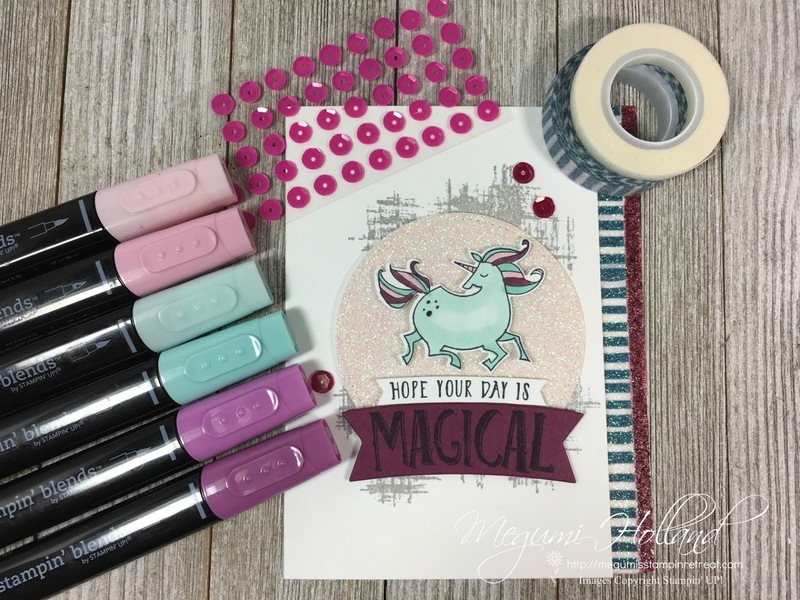 I had so much fun creating these cards with the coordinating other products such as the Myths & Magic 6" x 6" Glimmer Paper (on sale now at 50% off) and the Myths & Magic Washi Tape. 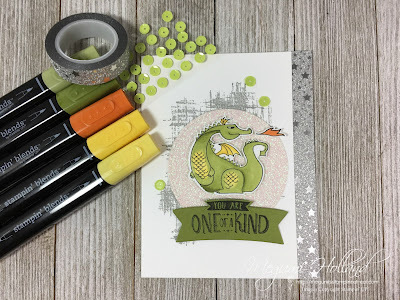 By the way did you know you can color Washi Tape with the Stampin' Blends? I colored my iridescent Washi Tape with Rich Razzleberry Dark Stampin' Blends and adhered it to the edge of my card base. I also colored Berry Burst Adhesive-Backed Sequins with the Stampin' Blends. Pretty cool!!! I also used the background stamp from the You've Got This Stamp Set, which is retiring at the end of May, to give a little bit color and design on a Whisper White cardstock. I'd have to say this cute dragon is my favorite:-). 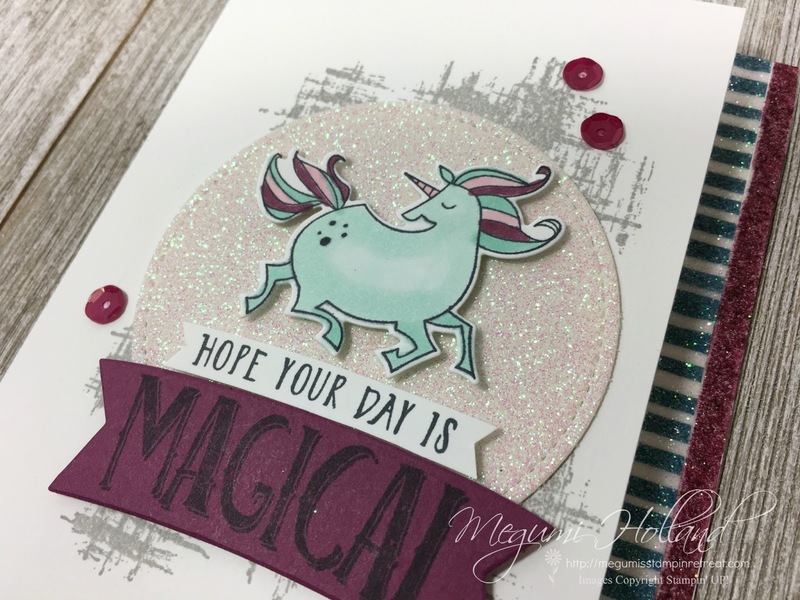 The retiring Best Badge Punch works great with this fearless knight! I love the striped Washi Tape! Depending on inventory levels, discounts on select products have been introduced. Click HERE to see the list. Today is the day! 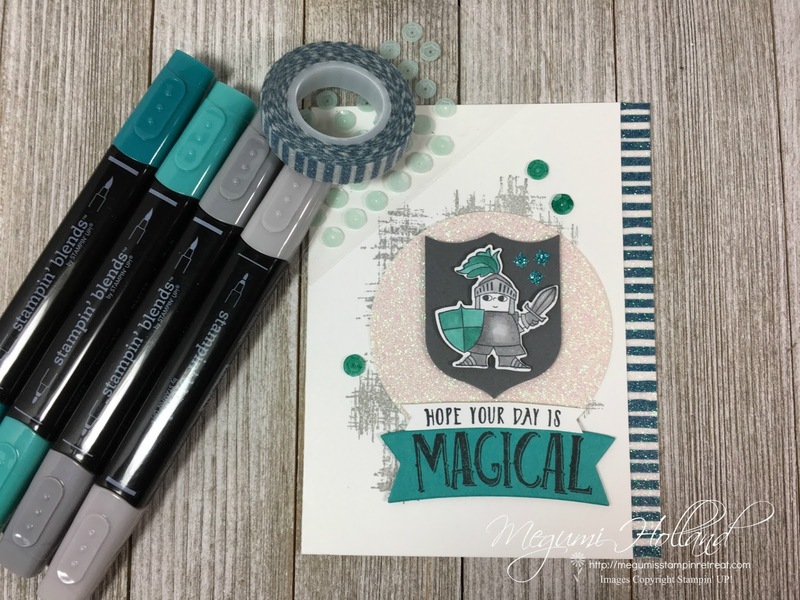 You can order a Share What You Love bundle AND the 2018-2020 NEW In Color Ink Pad Bundle!!! 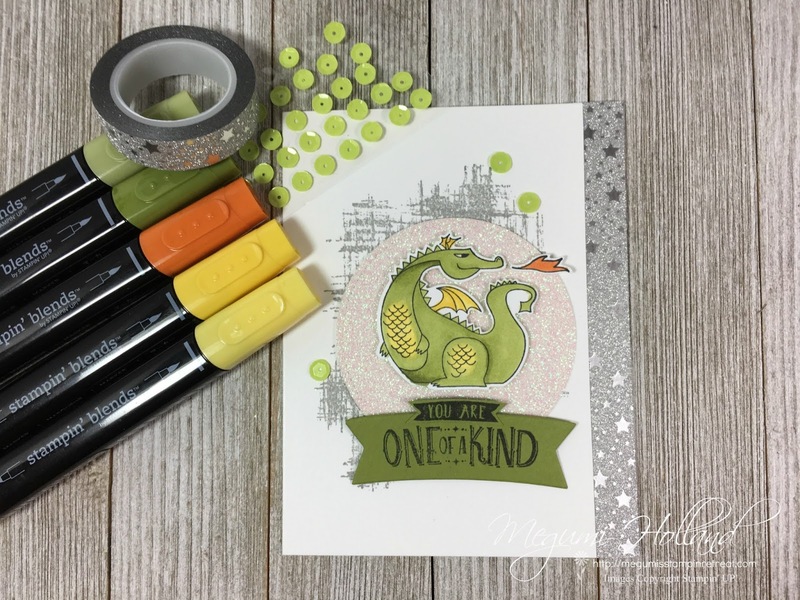 Each of the three Share What You Love bundle options comes with at least 1 FREE gift and the In Color Ink Pad Bundle is priced at 10% off. The Share What You Love Suite Early Release is our tribute to all of the wonderful people who have made - and continue to make - our company what it is today. Join us in celebrating the good times with our exclusive Statement of My Heart Single Stamp, which is available only during early release. 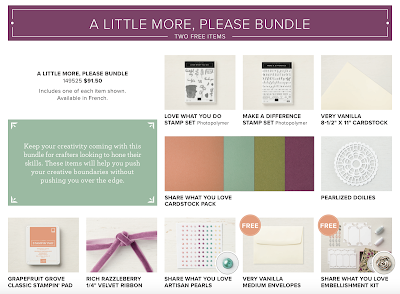 Bundles are exclusive to the suite early release and will no longer be available after May 31, 2018. Individual items from the Share What You Love suite will be available when the 2018-2019 annual catalog is released on June 1, 2018. 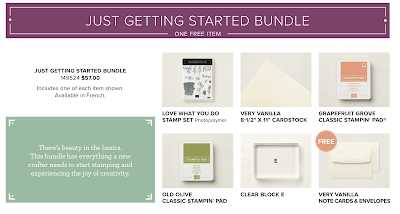 Bundles may be included as part of a new demonstrator's Starter Kit (free items will be included!!!). 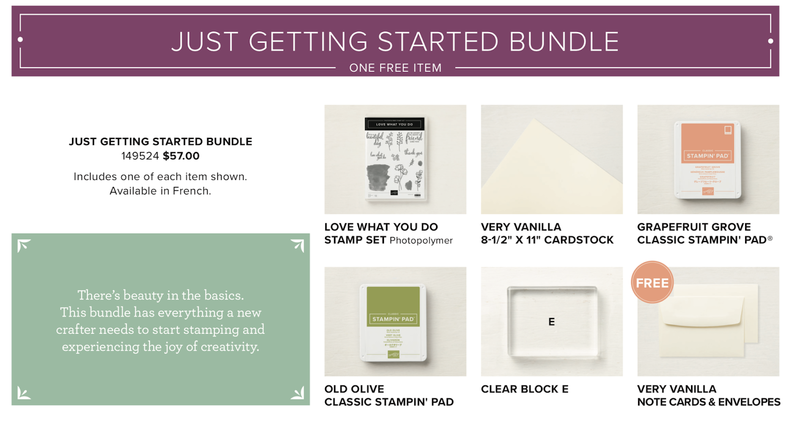 Bundle 1 - Just Getting Started Bundle (Item #149524, $57.00). Click HERE to see it in my Online Store. 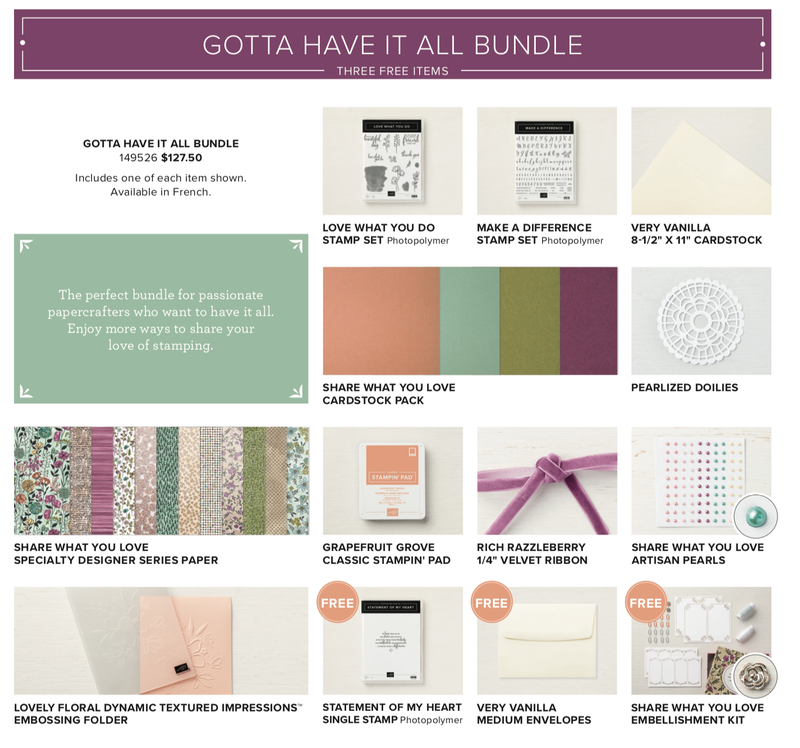 Bundle 2 - A Little More, Please Bundle (Item #149525, $91.50). 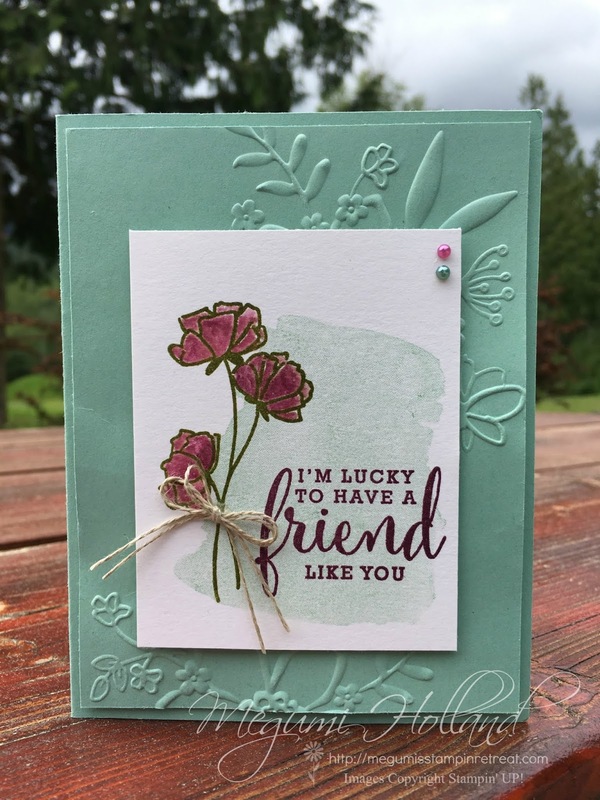 Click HERE to see it in my Online Store. 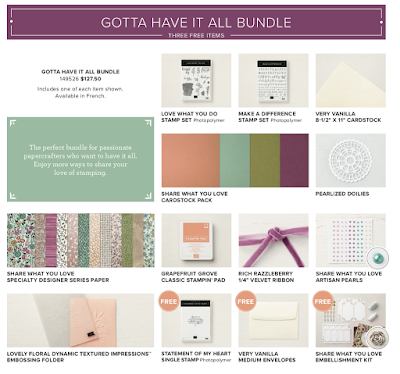 Bundle 3 - Gotta Have It All Bundle (Item #149526, $127.50). Click HERE to see it in my Online Store. 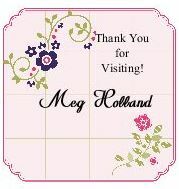 Free Items - Statement of My Heart Single Stamp, Very Vanilla Medium Envelopes & Share What You Love Embellishment Kit. 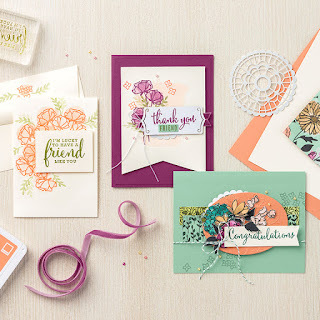 In addition to the Share What You Love Bundles, you can also purchase the set of 5 NEW In Color ink pads in a bundle at a 10% off discount!!! Get the new In Colors a month early and try out the new ink pad style! 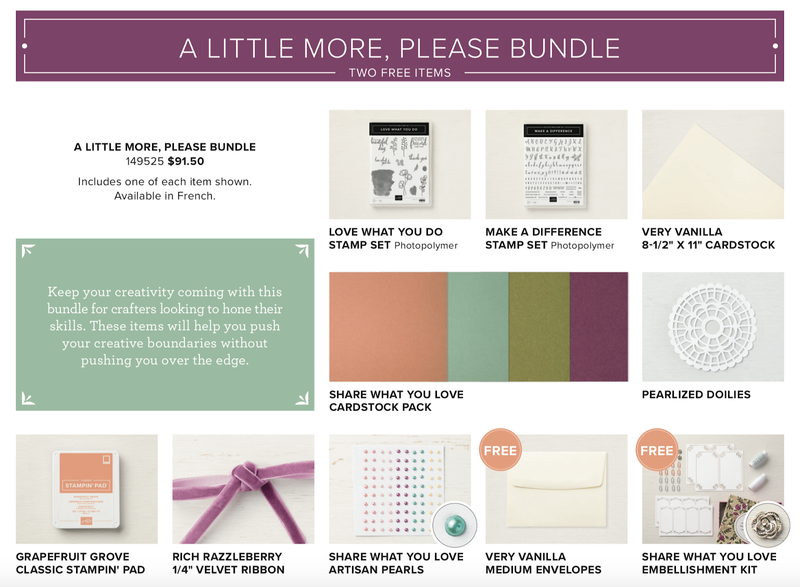 Get new catalog products a month early!! !